So mud is one of the basic issues that every armor modeller will encounter. 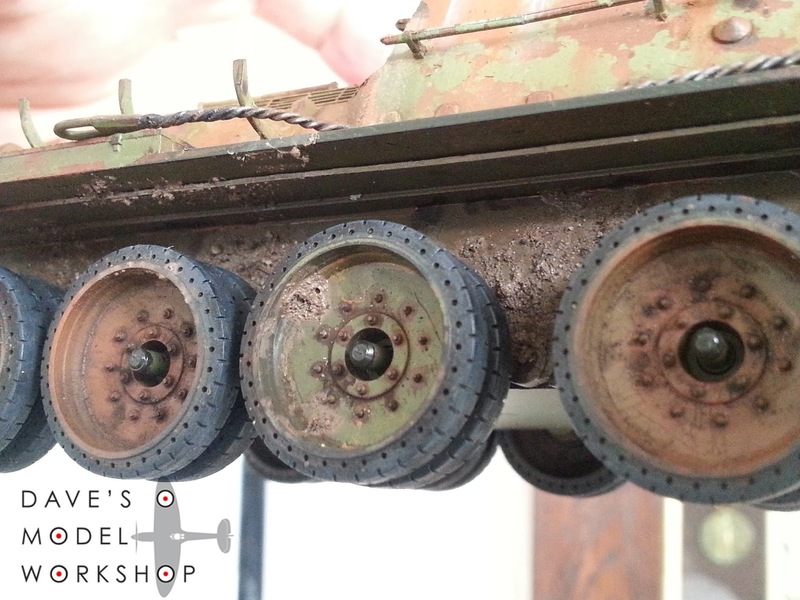 Any model tank, halftrack or jeep will need mud deposits if it's not meant to look pristine and factory fresh. I've seen a lot of different model makers offer their solutions to how to realistically model mud. Some involve expensive plasters, texturizers, esoteric stuff that you have to order from online specialists or visit your local hobby shop for. Some techniques take ages, are really complicated, and way too hard. Some require lots of drybrushing, lots of finishing, lots of fiddly work. I make mud using THREE ingredients. And they are cheap - literally as cheap as dirt. 2. Earth toned paint. Doesn't matter what it is: acrylic, oil, enamel, it all works. 3. Fine dirt. From your backyard or the gutter out the front! Mix it all together. Brush on your model. Voila! It doesn't get much easier or cheaper than that. For dried mud, you can sprinkle some of your unused dirt over the brushed-on mud for a lighter, dryer tone. For wet mud, I use oil paints to maintain a glossier, slicker sheen. So please do check out my video tutorial, it's a cracker. Plus there is some unexpected small child yelling in the background, which goes to prove that when you start shooting an unreversable process, sometimes things happen. All part of the excitement of model making with a small child in the household. Until next time, keep exploring! The finished result: believable, goopy mud. I was aiming for an old, dried mud effect here, but with some minor changes you could also easily achieve wet mud too. The Tunisian Tiger diorama is complete!